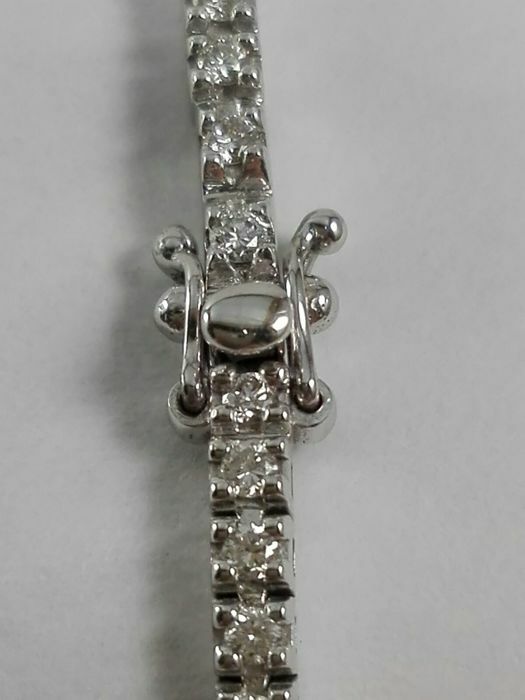 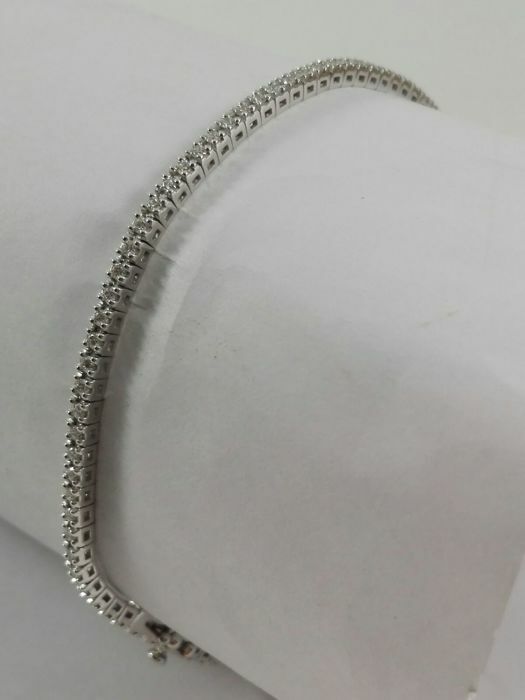 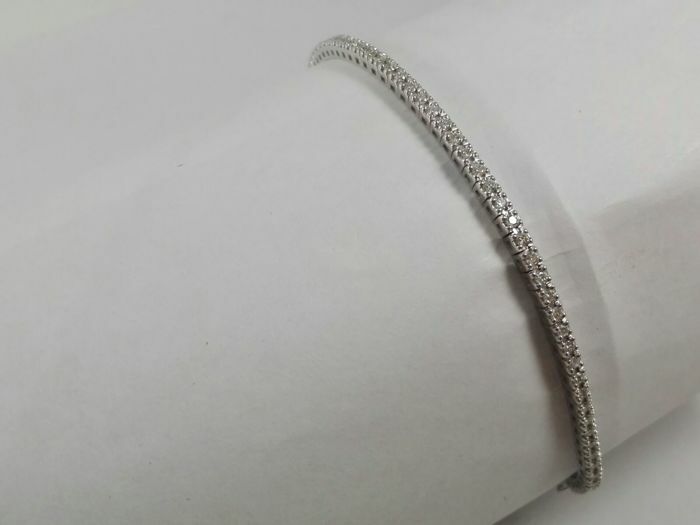 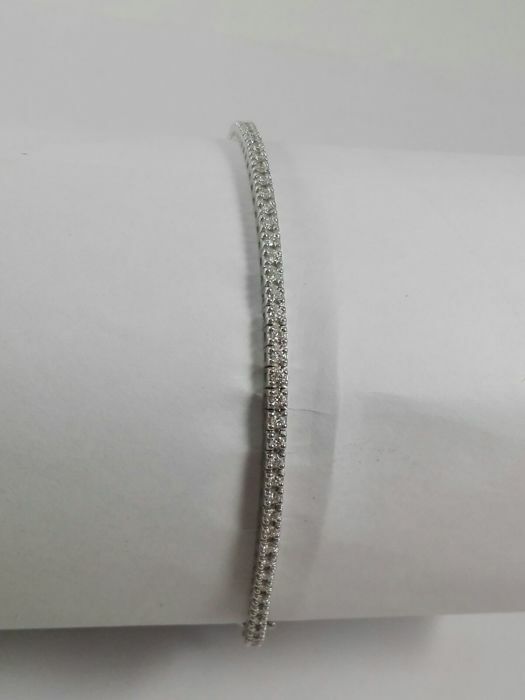 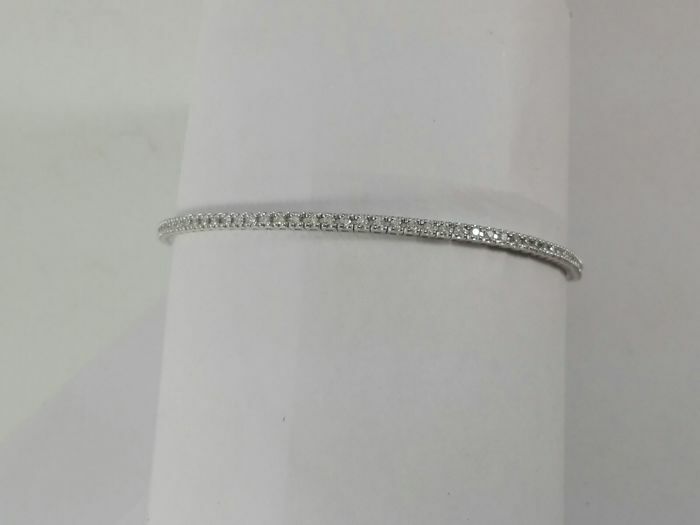 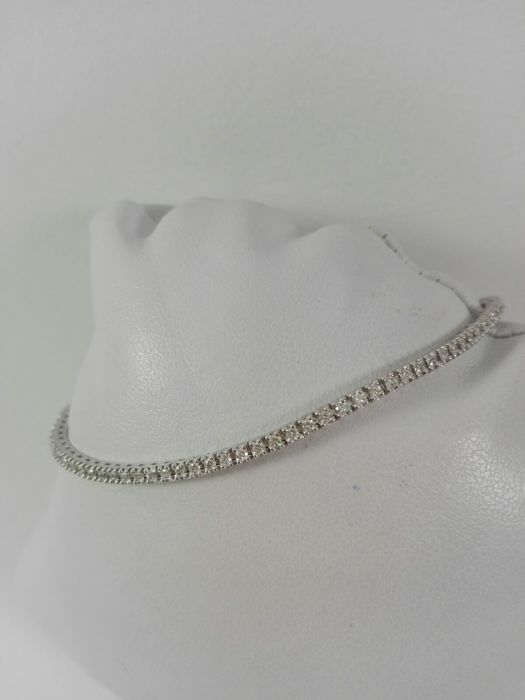 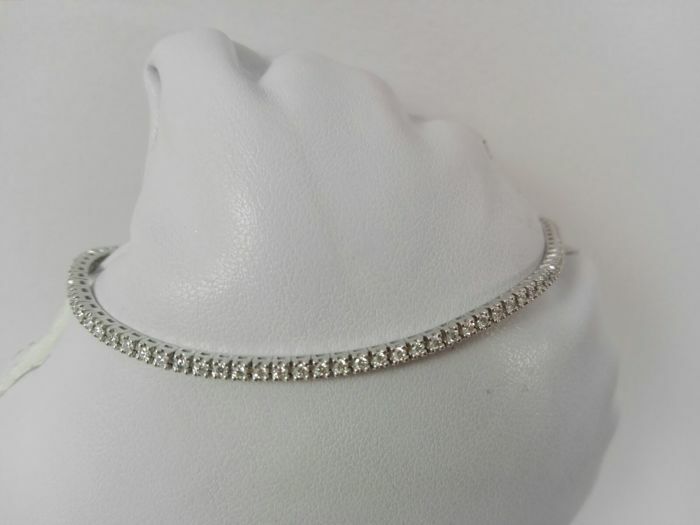 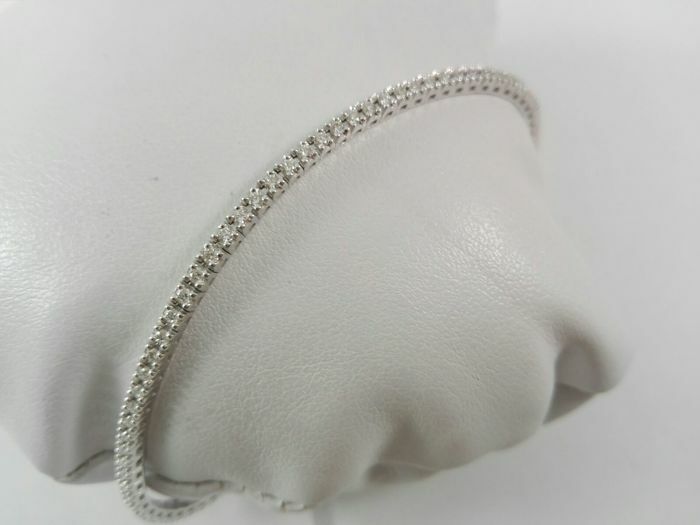 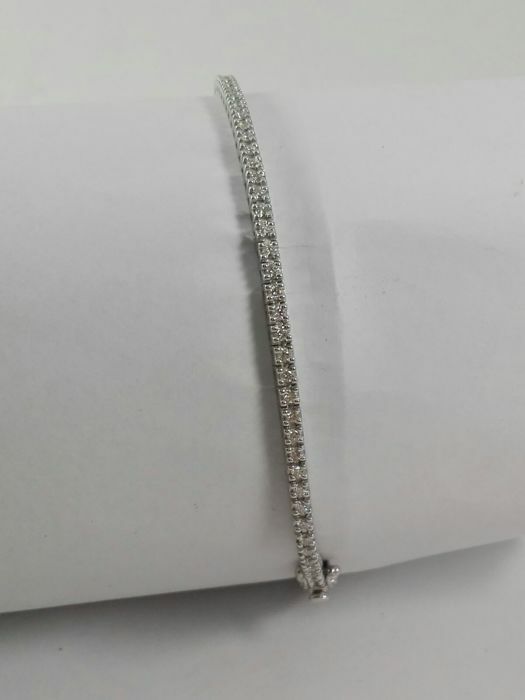 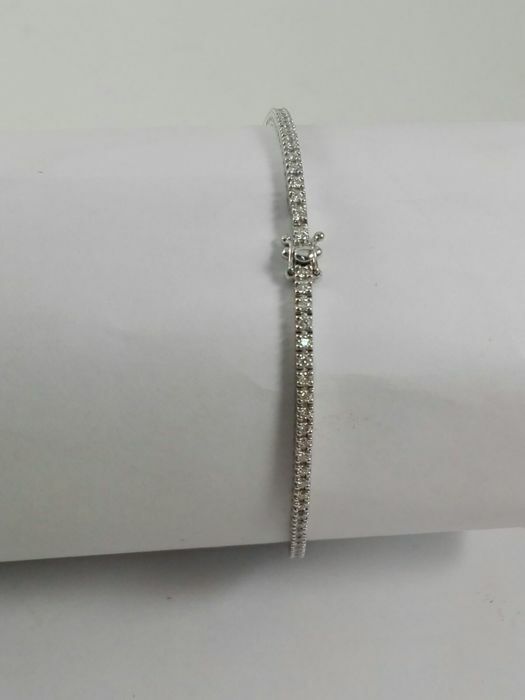 Splendid women's tennis bracelet made of 18 kt white gold and natural diamonds, brilliant ct, 0.01 ct each, totalling 0.97 ct, F colour, VS clarity. 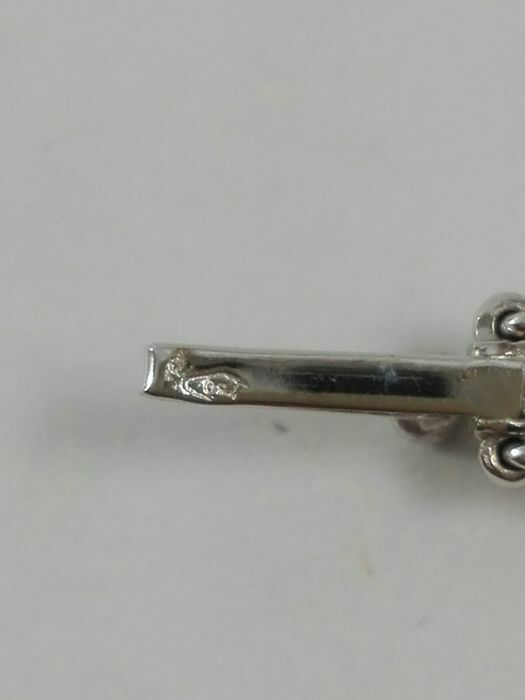 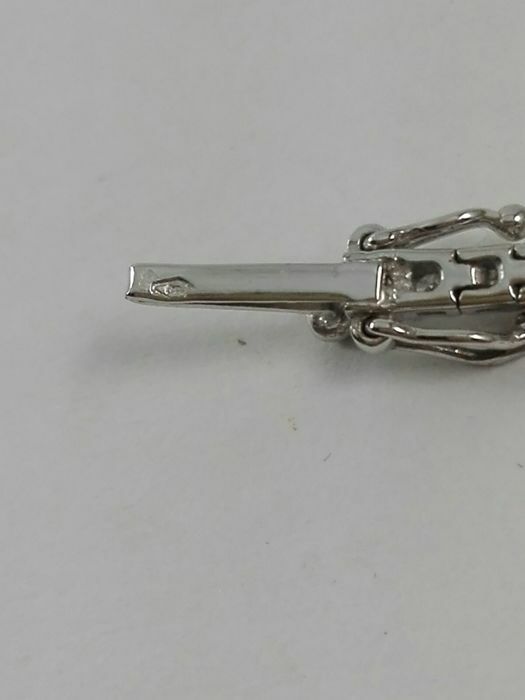 Hidden clasp with two lateral safety hooks. 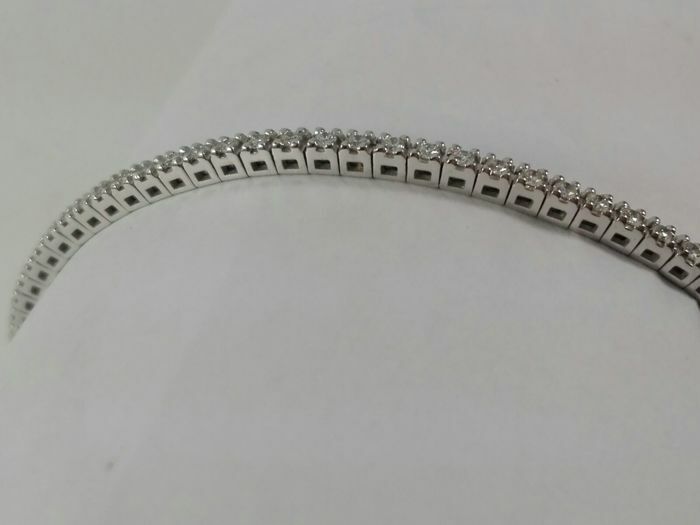 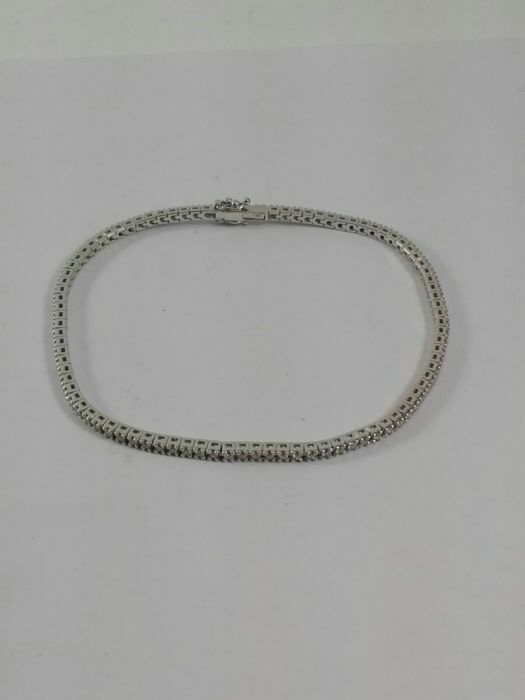 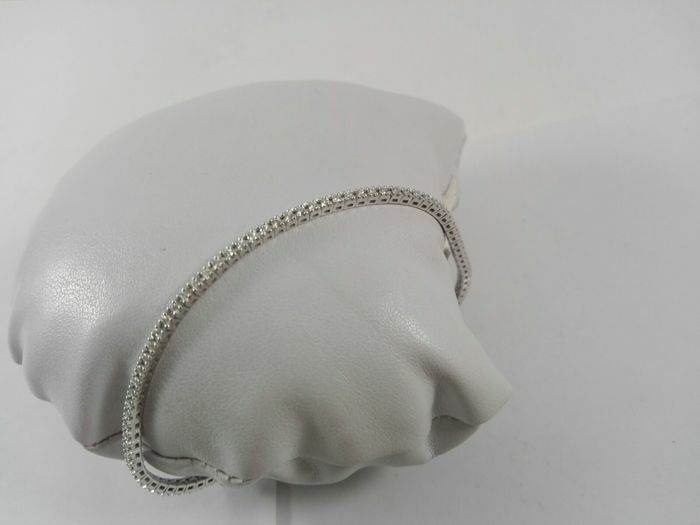 - Total bracelet weight 7.6 g.
- Bracelet length 18 cm. 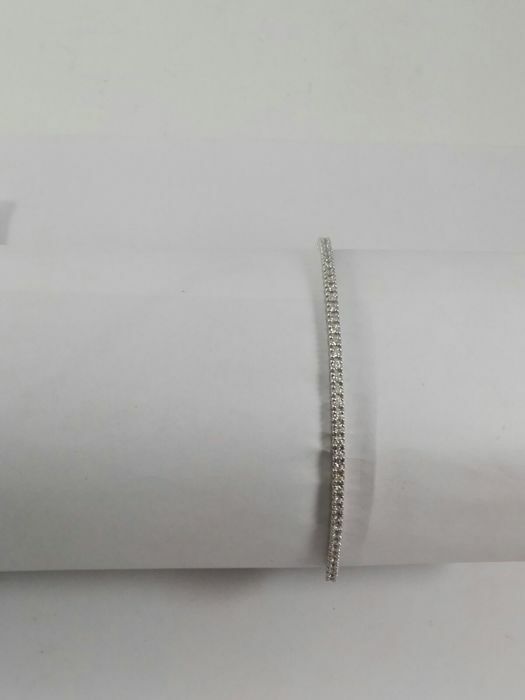 Shipped with gift box and a guarantee certificate. 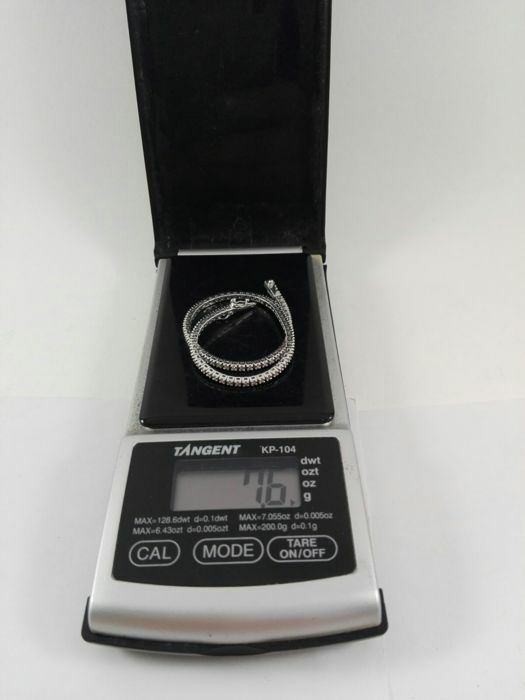 Ring received in good condition with very nice packaging. 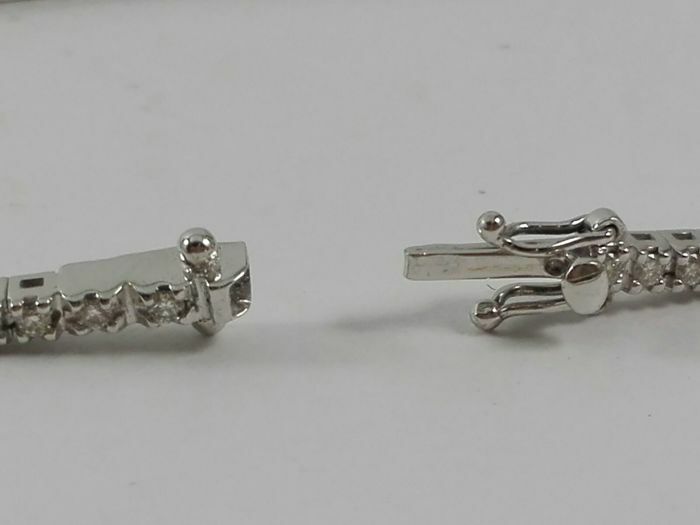 Just the coral is a bit lighter in colour compared to the picture shown. 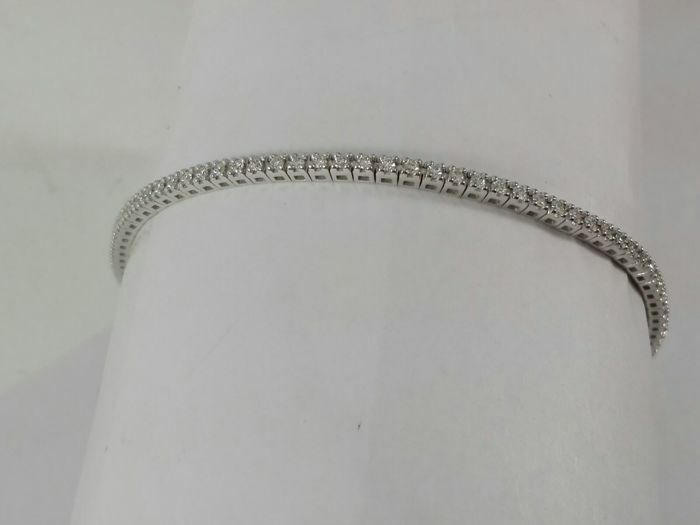 Otherwire is perfect!